The Research4Life Team is delighted to announce the release of its June 2018 Newsletter. the growth of peer-reviewed resources accessible through Research4Life to 85,000. 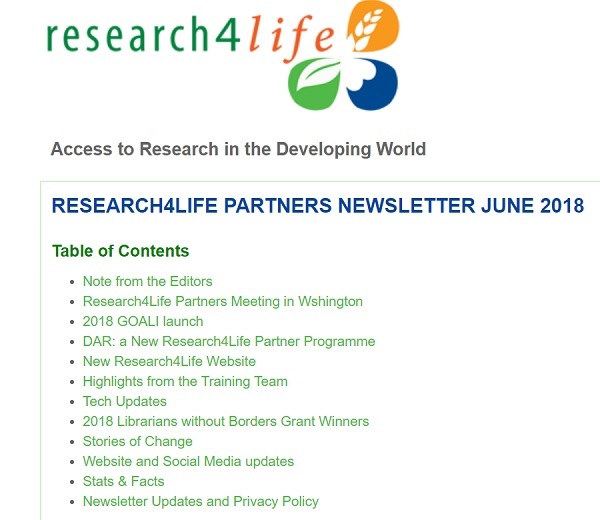 The Research4Life Newsletter is published twice a year and contains information about the Research4Life partnership activities in the areas of capacity development, technical advances, new collaborations, marketing updates, statistical updates, case studies etc.